I promised you in my last post that I will show you a watermarble, but my boyfriend came home unexpectedly after five months of being away. So I hope you can understand why that watermarble didn't happen, even this manicure is from two weeks ago and as long as he's home I don't think I'll have the time to do nails or posts, there will be too much cuddling going around. So there you have it, a manicure with two contrasting nail polishes and a negative space vs. half-moon. Yep, I've just combined one trend with another, this is what happens when the inspiration is playing hard to get. 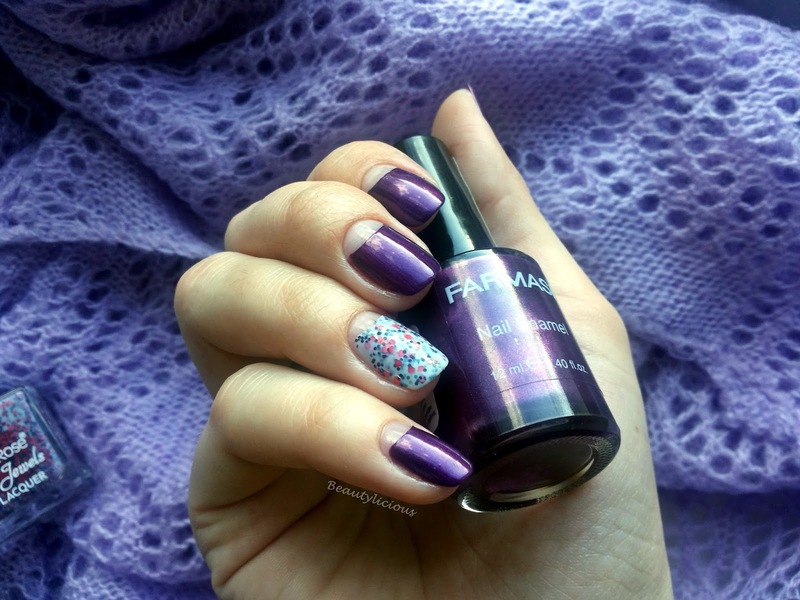 The purple nail polish is Farmasi #78 and it's a gorgeous one. It has shimmer in it and a silky finish. The appliance went so smoothly, streak free and it needs to coats to reach a nice coverage. It really is more beautiful in real like than here. 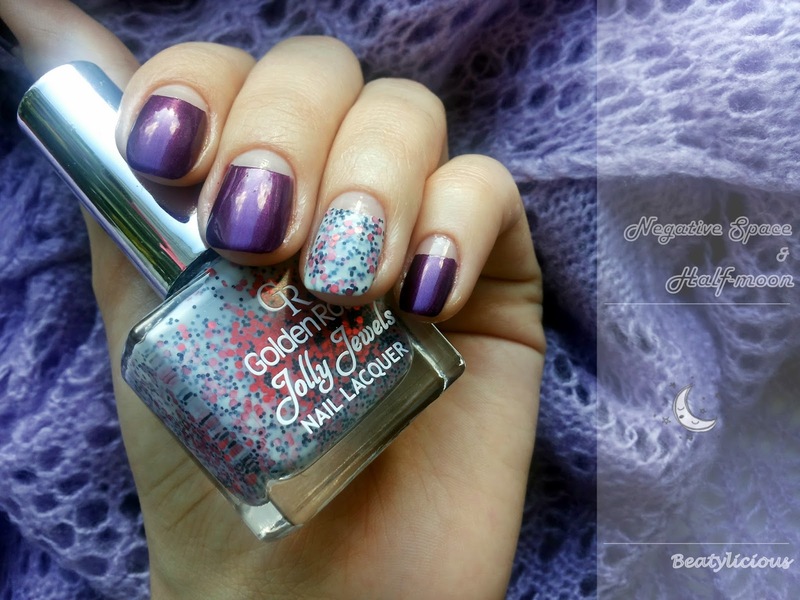 On the accent finger I have Golden Rose, Jolly Jewels Collection #110. So, what do you think, do these two nail polishes go well together, or is it just me? Would you try this negative space + half moon? I find it really nice and interesting. Oja cu gliter Golden Rose arata fabulos!